Dating coach Adam Lyons teaches the true way to start your polyamorous journey. Whether you’re already in a polyamorous relationship or whether you’re curious about starting one then this article is for you! Adam talks about the best habits to start off in your polyamorous adventure. First of all, understand that no two polyamorous relationships should look alike. One of the best things about polyamory is that it is very fluid. There are polyamorous couples that share a third partner on occasion. There are polyamarous couples that have multiple partners that they each go out and see, there are polyamarous triples, quadrouples, living together. Sometimes it’s three guys, sometimes it’s two girls and a guy, sometimes it’s two guys and a girl. The beauty of polyamory is that it’s a very fluid construct. Don’t feel that this article or any other should define the relationship you choose to have for yourself. 1. The philosophy or state of being in love or romantically involved with more than one person at the same time. It may seem that there is a recent rise in society about polyamory but the reality is polyamory has actually been in our society ever since pen touched paper. This epic poem was written during ancient Greek times. In it, King Priam had multiple wives. Wealthy individuals typically had multiple wives because polygamy was legal. His great-grandfather, Obama Opiyo, had five wives, including two who were sisters. So truth be told, this isn’t something that is new. It’s just something that has faded in and out of favor in the past few centuries. However, through the prevalence of the internet, more and more people are realizing it’s a natural thing. What polyamory is saying in essence is that you can love multiple people. A lot of people make the mistake of feeling that their partner is a possession… and therefore they don’t like the idea of their partner doing things without them or seeing other people without them. Whether they admit it or not, they feel a possession over that as if they have a say in what their partner does. Most people who follow polyamory believe that people should be able to love multiple people and that it shouldn’t detract from whom they choose to love. If you’re looking for an analogy that may be able to help you… think of if whether you had a puppy, and then you had to adopt another puppy, due to the fact that the puppy was found on your door step or whatever the situation is, do you think it’s right to break up with the first puppy and take it to the shelter? Obviously most people would agree that’s not the correct thing to do. It’s simple to come to that conclusion because the human brain and chemistry have the capacity for loving multiples. You can love multiple puppies, you can love multiple children and it’s possible to love multiple partners. If it wasn’t, then getting over an ex would be absolutely impossible as once you love somebody once, you wouldn’t be able to love anybody else. There is a lot of evidence in our culture that shows polyamory is actually a native state. You can see this by understanding the concept of preselection. Preselection is the concept that women are generally more attracted to a man that is with another woman. This is well documented and The Journal of Experimental Social Psychology did a study that showed it was extremely common for single women to be interested in a man with a partner more than a single man. That’s why most of us are aware that if you’re in a relationship with somebody, it’s easier to meet somebody else. If monogamy was our default state then preselection would make no sense and someone who already had a partner would be unattractive as they would be unavailable due to human’s natural monogamous behavior. Facebook has released dating statistics stating that half of the people in relationships 3 months or longer, stay together for four years or more. Meaning, the other half didn’t and were going in and out of relationships. It’s a very natural state for human beings to have fluid relationships. To move in and out of relationships simply makes sense as we all find our own journey for love. Economically now a days, polyamory seems to make a lot of sense. With rising cost of living, a household is more easily maintained with multiple people. Rent and mortgages are all very expensive and when the costs are equally split among three people, it actually makes things significantly easier to afford. People can’t always be available with their workload, and having more people means there’s more people to ensure that you always have someone to spend time with and satisfy your needs emotionally, physically and sexually. Ultimately, polyamory isn’t for everybody. There are people that choose to be monogamous and that’s great they should be able to choose and be able to do that. In the same way, polyamory should be available for those who want to have it and experience it. Providing everyone is a consenting adult, people should be able to choose to love and be in love with whomever they wish. Years ago, the concept of a man being with a man and a woman being with a woman was shunned and frowned upon in many areas… and yet now it’s widely accepted in many areas that this should be acceptable and people should be able to love whomever they want. Likewise, it won’t be too long until we see a very similar culture shift for polyamory and multiple relationships. By the way, feel free to make your own decision, and leave a comment below to let us know what you think. 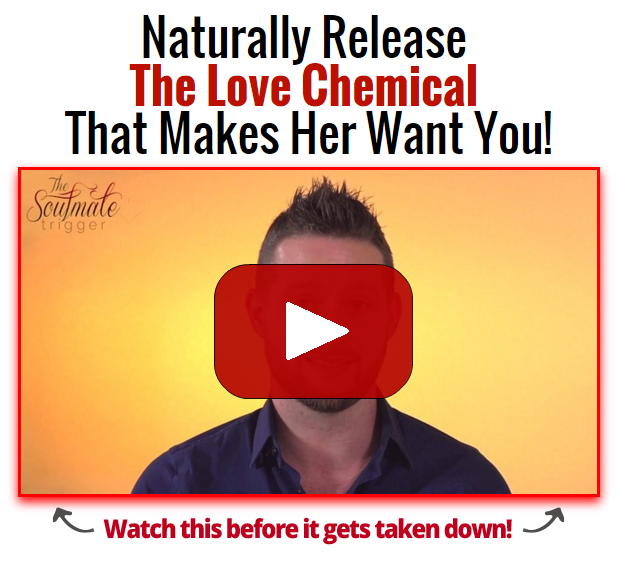 As mentioned earlier, there is a video I made especially for you that will teach you how to go about creating attraction strong enough to get another woman to join your relationship. Unless you know exactly what to say and why to say it to make her fall for you while you’re in a relationship, it will be very difficult for you to get her on board.